Slip, hbk, 9 x 12.25 in. / 120 pgs / 52 duotone. 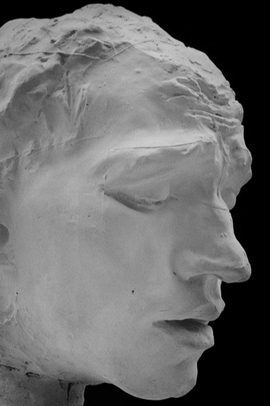 Throughout his career, Rodin maintained a special relationship with the photographic medium. 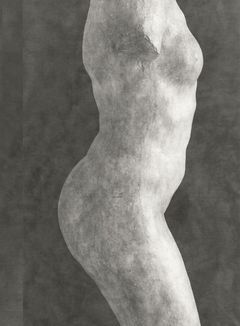 He was probably one of the first artists to understand the importance of photography in order to better promote his sculptures, thus leaving in his wake a vast array of documentary images and reproductions relating to his oeuvre. Writing to Edward Steichen about Steichen’s famous images of his "Monument to Balzac," Rodin said, “You will make my Balzac understood by the world through these photographs.” In this handsome slipcased volume, French photographer Emmanuel Berry interprets the expressive power of Rodin’s artworks with his gorgeous black-and-white photographic studies, scrutinizing his techniques and redeploying photography as a “cutting” tool to reveal Rodin’s work in a new light. Auguste Rodin (1840–1917) is widely deemed the father of modern sculpture. Despite early rejection by the French art academies, he built a career focused on depicting the human form, through the use of materials such as bronze, marble, plaster and clay, and by 1900, he was a world-renowned artist. Rodin is best known for his artworks "The Kiss" (1884), "The Thinker" (1880) and "The Age of Bronze" (1876). FORMAT: Slip, hbk, 9 x 12.25 in. / 120 pgs / 52 duotone.